The Kittocks Course is a testament to Bruce Devlin’s experience and expertise. 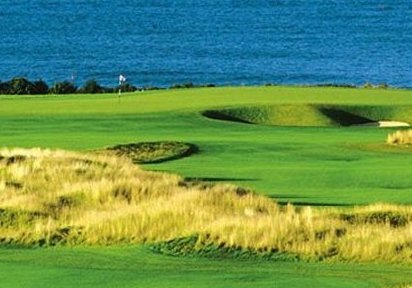 It is a truly magnificent 72 par, 7,049 yard championship course that sweeps its way along the rugged seaside landscape. 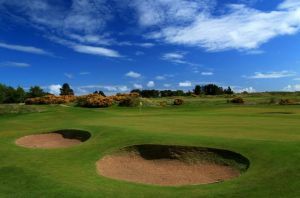 This as yet, undiscovered gem begins by innocently easing the golfer into a false sense of security, offering wide, well manicured fairways that wind around man-made water features and risky bunkers, teasing the golfer with a mix of par fours and fives. Then it is onto the par 5, 5th where the walk to the tee signals the beginning of the roller coaster style ride up, over and around the rugged wilderness of Kittock’s Den. 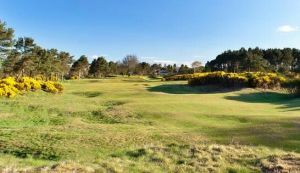 These ridge holes open up to the panorama of the white water crashing on the rocky shoreline below and over the body of the North sea to the Grampian mountains which dominate the horizon. The ever-changing ambience of this vast and spectacular view heightens the experience for the vacation golfer or the professional. Continuing on to the par 4, 7th, which hugs the natural curve of the coastline, down to the heavily protected, suspended green. The golfer is continually taunted by the course, which offers debate as to whether to play safe or take a risk. At the par 4, 9th again faced with the dilemma of risk/reward: Do you veer to the tight fairway on the right or the wider, longer and safer option on the left? The decision is yours. The excitement continues to mount as the homeward stretch lies ahead, all the while heading to the par 4, signature 15th. After a solid drive this ‘dog leg’ leaves a precarious 2nd shot towards the cliff edge green, which is heavily guarded by slopes and strategically placed bunkers. 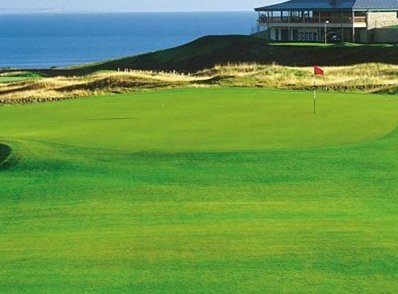 The par 3, 16th provides spectacular views of the North Sea and town of St Andrews before completing the round with two challenging par 4’s to finish in front of the clubhouse. 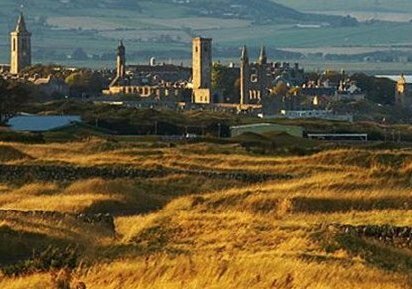 Fairmont St. Andrews Scotland - Kittocks Course is not yet in our pool of Golf Courses for orders.